Cusco was founded around 1200 AD and is the oldest permanent town in South America. 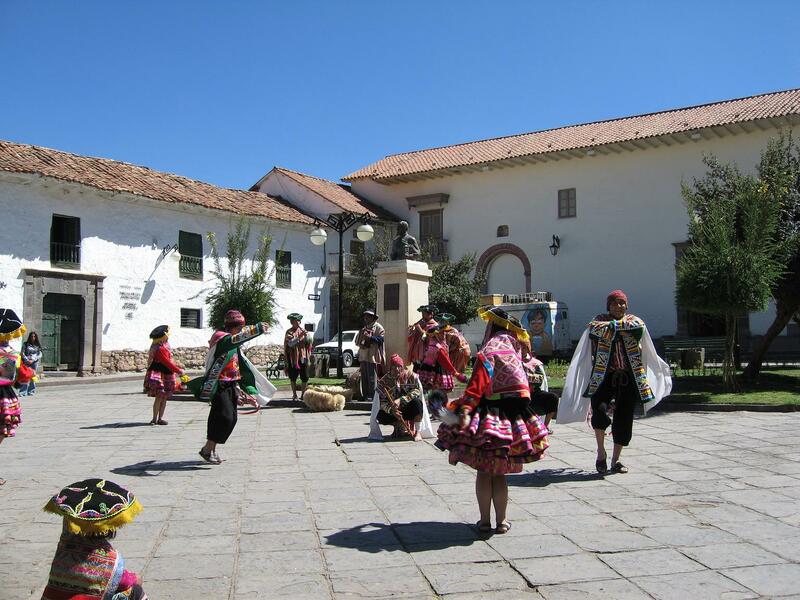 For centuries it was the cultural and administrative capital of the Inca Empire, the largest in South America at the time. 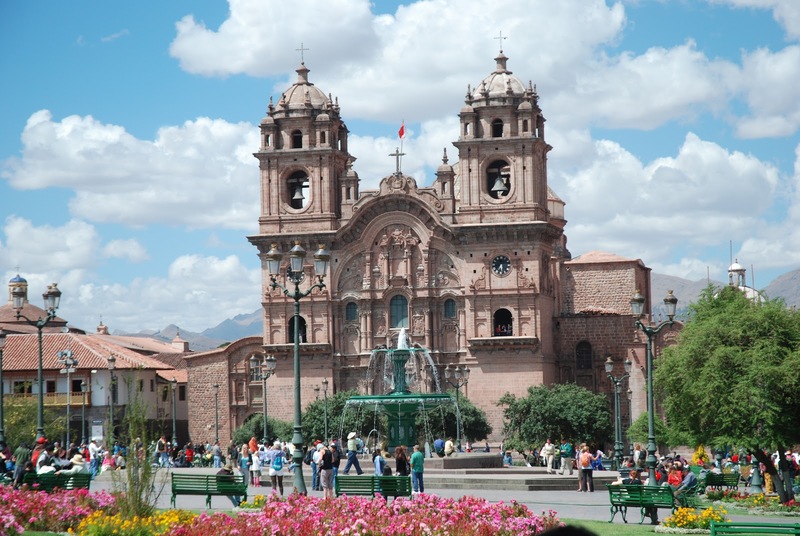 Although most of the Inca heritage is now gone, Cusco is today a major tourist attraction in Peru and was declared a UNESCO World Heritage Site in 1983. Because of its rich and complex history Cuzco is a great city to visit; you will find fine examples of well preserved colonial architecture erected directly atop old Inca walls. The Sun Temple of Qoricancha represents the ruins of one of the most important buildings in the old Inca civilization. Qoricancha can be translated as "the golden court", the temple was covered in gold and the entire complex had statues of humans, llamas and even corn fields all covered in gold or other precious metals. 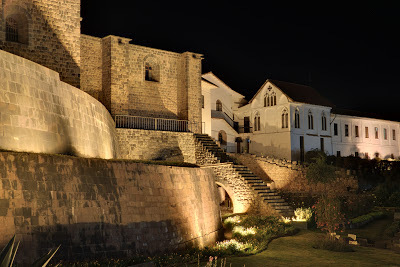 All were melted by the conquistadors but by visiting the place you can still get a sense of the old Inca greatness. 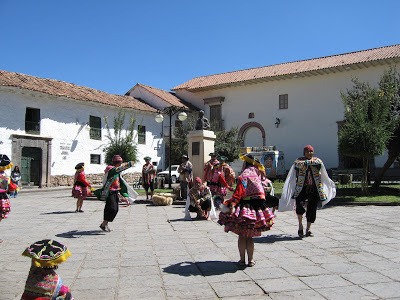 San Pedro Market is the place to go if you want to get a sense of an authentic Peruvian market, you will not find handicrafts here but it's a great way to experience a vibrant piece of Cusco. 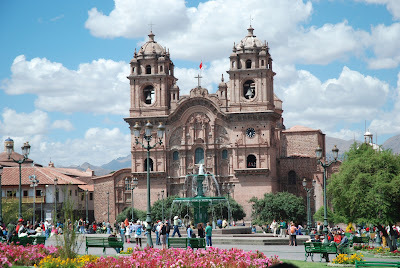 Plaza de Armas, the main gathering place in the city. It's a great place to spend your time and feel the city vibe. Dominated by the old imposing Cathedral the square has also some good shops, restaurants and bars that any tourist will love. 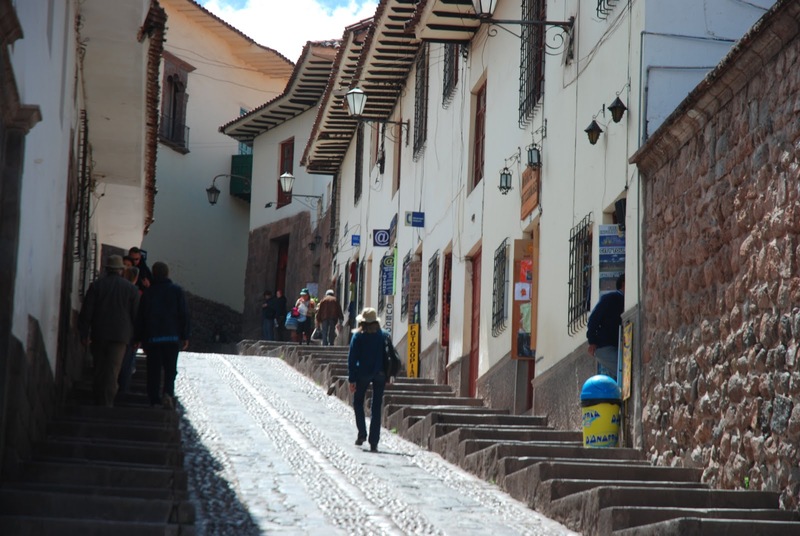 Since the city is situated at around 3326m remember to take some time on arrival for acclimatization, spend a few hours taking a nap and take it easy until the nausea goes away; then you'll be ready to explore the streets of Cusco.